Momma Told Me: Phones are only as smart as their user. I'm usually an early adopter. However, when it came to smartphones, the sticker shock of expensive handsets, bundled with overwhelming contract rates, had me sitting on the sidelines for several years. I desperately wanted to throw out my old 'dummy phone,' and begin zipping around with Google Maps and tinkering on Words With Friends. Touchscreens, Mobile Applications, Global Positioning, it all sounded so glamorous. There was only one problem, no matter how smart the phone was- I was not the smartest user. Jay and I are both klutzes, and (Jay more than I) tend to burn through technology rapidly for the silliest of reasons. And that's how the lowest priced unlimited plans really opened a new doorway for us. 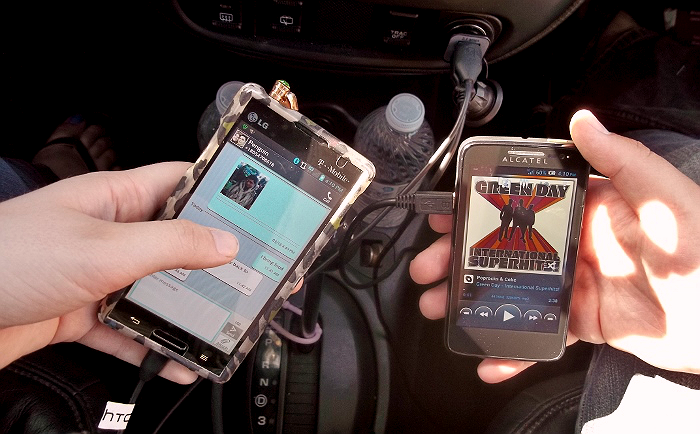 When we activated our first smartphones, I treated mine like a second child, while Jay dove right into syndrome-like social behaviors. I could hear the digital music of applications being played from behind the bathroom door, Google Maps became the only singular navigation device ever needed, and suddenly our food was much more interesting than it had ever been before! While he was busy mastering the art of selfies and checking into mundane locations on Foursquare I kept my smartphone tucked securely in my purse and used it strictly as a cellular device. Of course, while I had the same handset for two years, Jay went through 4 smartphones in just about the same time. It seems, when one gets comfortable with their smartphone they tend to develop what I lovingly refer to as 'Smart Phone, Dumb Owner.' This is a phenomenon where users have adapted to the smartphone way of life so much that common sense is purely thrown out the window. Tell-tale signs may include; handling one's phone in the bathroom (especially while the toilet seat is up), driving with speakerphone on and the handset in one's hand, or the complete loss of navigational skill resulting in one stranded on the bad side of town simply because a data signal went down. I was determined to cut the financial bleeding of multiple handsets, and this fascinating syndrome, last year when I learned about #FamilyMobile Unlimited Talk Text and Data/Web plans. Not only did they offer the lowest priced unlimited plans, but they had several affordable smartphone handsets under $100 and an impressive coverage map of service. I was instantly convinced it was time for myself to upgrade my 2 year-old handset and switch to a much more affordable, contract-free service. It didn't take Jay long to catch on to my sleek new phone and the $7/month savings I enjoyed through Family Mobile, so I headed back to Walmart to invest in a smartphone upgrade for him. Not only did we enjoy even more savings ($5 off per additional line) when we activated his new Family Mobile phone on my existing plan, we had a little extra in the budget to invest in some smart accessories too! It's easy to #MaxYourTax refund with so many smartphone handsets under $100, and affordable accessories to protect and enhance them. Gone were the days of balancing my large smartphone on the steering wheel (or worse, my chest) as I followed map navigation. From sports armbands to waterproof cases, and water-damage emergency kits, we were impressed with the range of smartphone accessories stocked for our new Family Mobile phone. 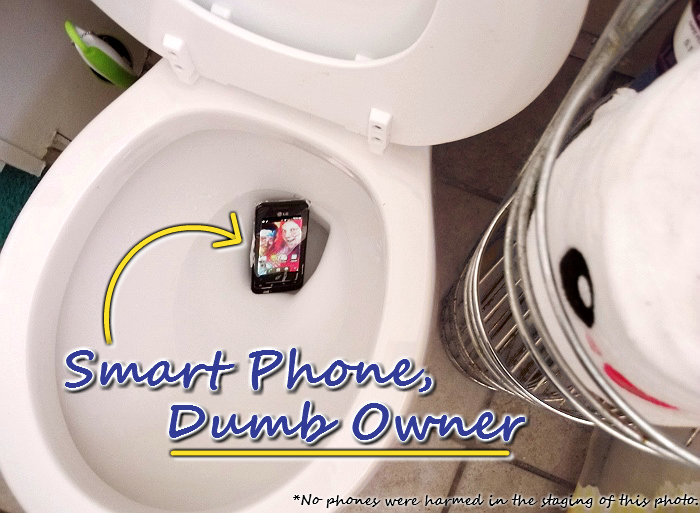 With the monopoly on branding and marketing in the US, many smartphone owners can easily develop Smart Phone, Dumb Owner Syndrome with the preconceived notion that smartphone accessories are linear. Wrong! You do not have to buy accessories branded specifically for your phone model, in fact, most accessory packages will have a wide range of compatible specs right on them. If you're concerned about compatibility, browse your local store's smartphone accessory selection with full product descriptions online, before heading in to buy. 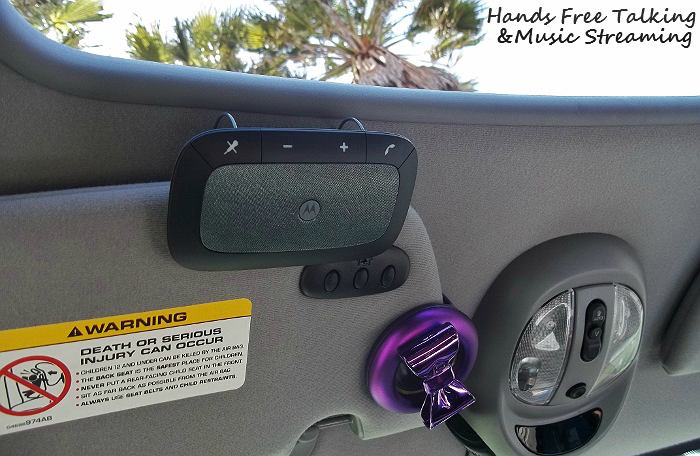 These days, most devices with Bluetooth technology are inter-compatible, making hands free headsets and car visor mount speakers more attainable than ever. 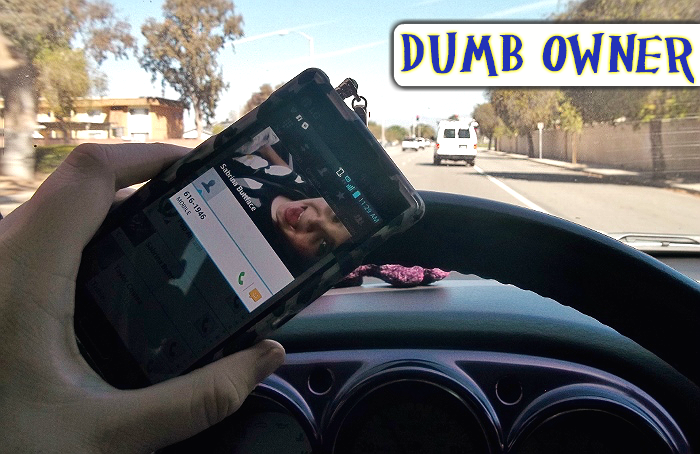 There simple is no reason for SPDO Syndrome to take over your safe driving practices! 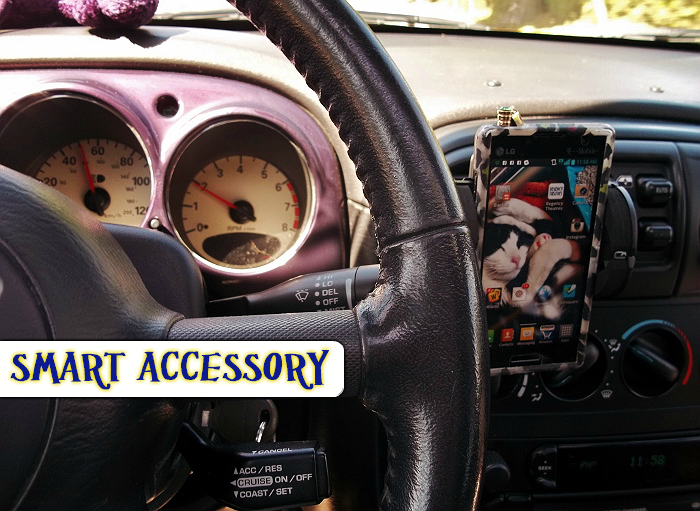 Of course, as smart as smartphones are, there are some things they simply can't do without the aid of a great accessory. No matter how advanced your device is, you'll find yourself running out of 'juice' at the most inopportune times. If you want your ready for roadside emergencies and to still have enough juice for backseat Words With Friends, you need to invest in smart charging solutions. Secondary battery packs can be great on-the-go charging solutions, with easy USB charging outputs built right in. For couples like Jay and I we also need a high speed dual car charger for those times when we're stuck in LA traffic with no additional power source. 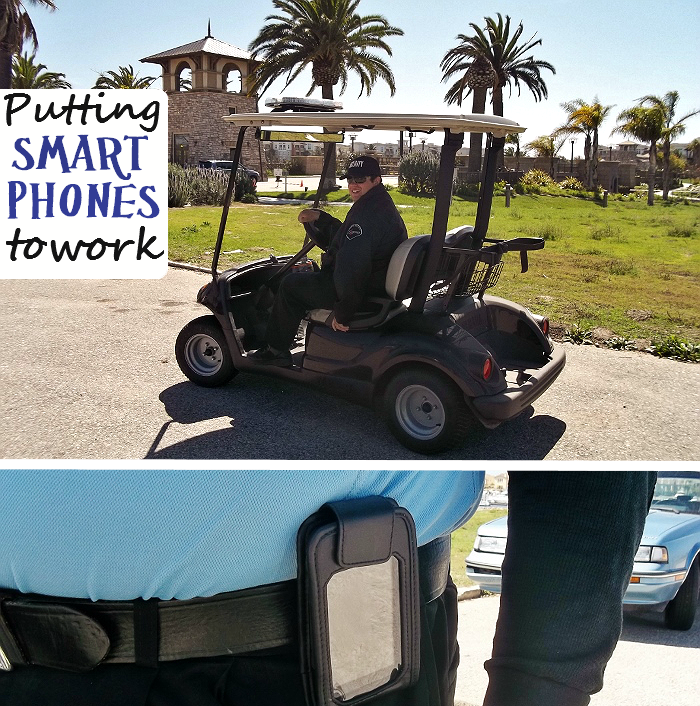 Whether your goal is to protect precious cargo with hands-free devices, or protect your new tech investment with a shock-absorbing case, you don't need to compromise common sense for cell phones. 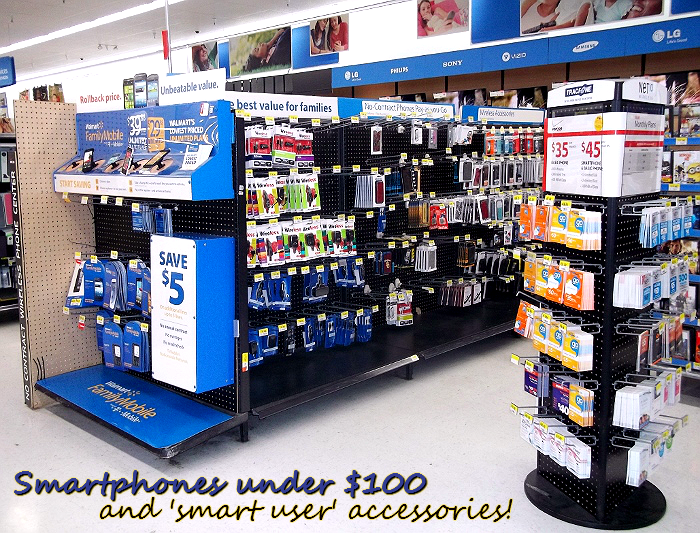 With the wide range of contract free services, and the cheapest wireless plans, in the electronics department of your local Walmart, there truly are no more excuses. For those still afraid to dip their toes in the smartphone pond; now's the time to dive right in with handsets more affordable than ever, and wide range of accessories to compliment them. For those suffering from SPDO, take the first step towards recovery with intelligent devices built to protect your investment and help you re-connect with the world again. 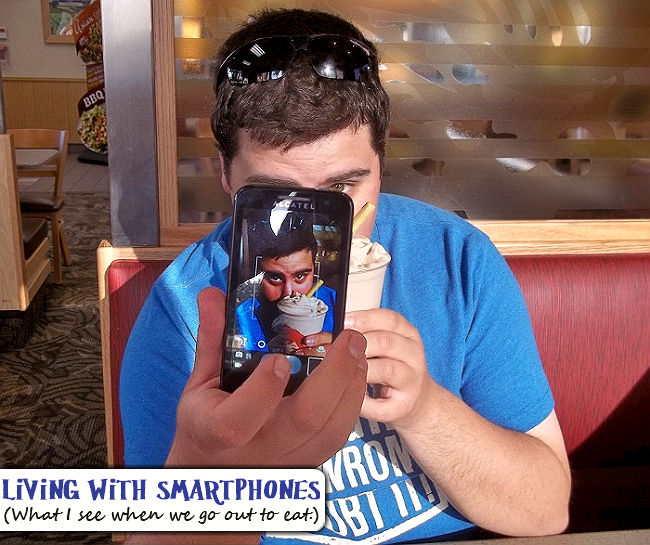 What's your biggest hurdle committing to smartphones? Do you suffer from SPDO Syndrome? 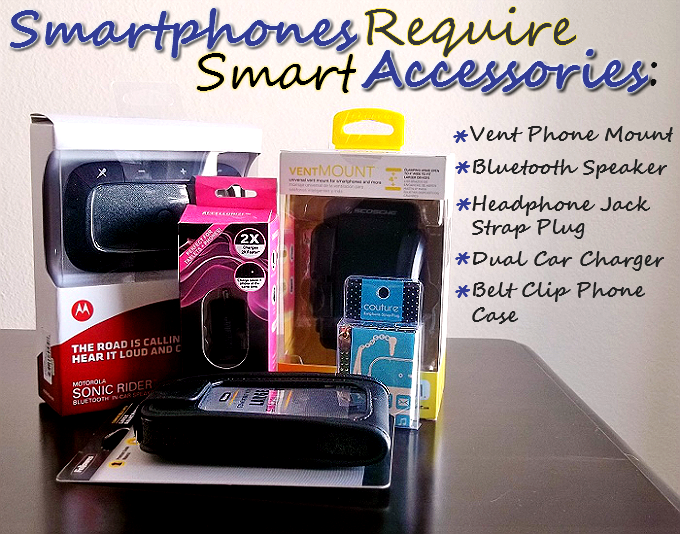 What Daughter Says: Get the most our of your smartphone with smart accessories and affordable unlimited service. I got my first smartphone in 2011 and haven't looked back :). My dad, however, still has a flip phone, and his hurdle is also the price, so I'll let him know about this deal. I do pretty well with my smartphone. My teenagers, however, are another story. I haven't had TOO many dumb smartphone or tech. disasters yet. I try to keep a nice case on it and use the Sync hands free. It took me forever before I bought a smartphone. I only did so because my blackberry CAUGHT ON FIRE due to a battery malfunction. I'm ready for an upgrade, but I really don't want to spend the cash. I'll have to check these phones out. My husband just got a smartphone. A friend was upgrading so he gave the hubby his old droid. It works in town but not out at the farm. So far he is behaving with it but given his track record with phones I expect him to be shopping for a new one soon. It took me a while to break down and get a smartphone too, but once I did, I couldn't live without it! I've had my iPhone for a couple of years now, and it's always at my side. I check my e-mail, text, browse the internet, play games, and even watch my daughter sleep through our wifi baby monitor with my smartphone. I don't, however, bring it in the bathroom with me! I would totally be the person to drop it in the toilet, so I don't even go there. Fantastic accessory options. 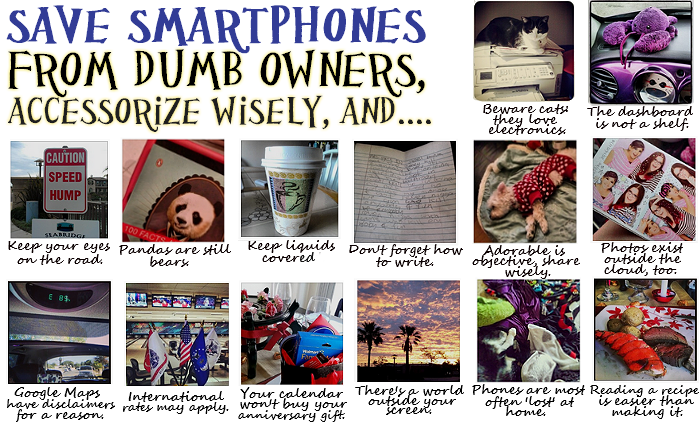 There are so many ways that dumb owners make stupid mistakes and ruin their cell phones. I still have to get a smart phone, I am behind the times. I do not like to pay high monthly bills though, but do need a family plan. I chacked this out per this review-really great phones and love the no-contract plans. Thanks for posting! Wish I had a smartphone! Haha. I still have to upgrade to a smart phone. Hopefully I'll be a smart owner.